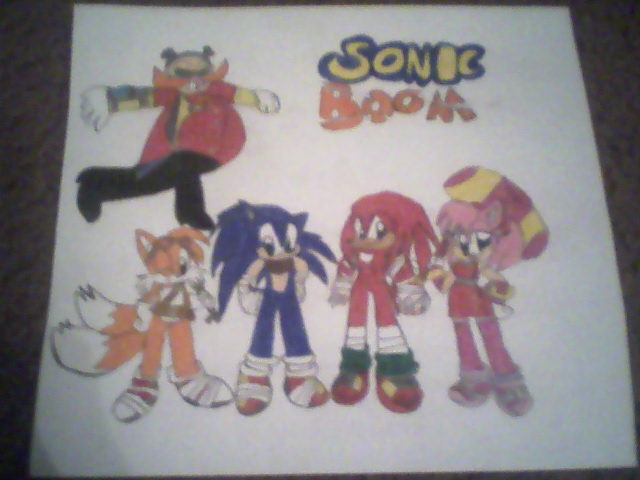 As you can see I made a few changes on the Sonic Boom char designs. Dr. Eggman is still fat, Tails is the same, Sonic's arms are peach because I just couldn't do blue arms, at least not for now, Knuckles is a little buff but not too much and just a little taller than Sonic and Amy is the same. I'm just hoping this design will please everyone. I know I messed up the logo, please forgive me.